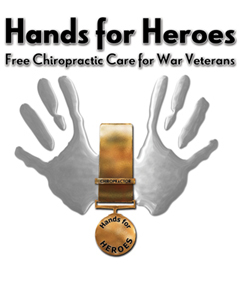 Chiropractor in Reading, Berkshire, Dr Krishna Mohan the principal Doctor of Chiropractic of Krishna Chiropractic within Castle Hill Clinic, joins Hands for Heroes – Free Chiropractic Care for War Veterans. Dr Krishna understands that chiropractic is not just about helping with back and neck problems but is about overcoming the physical, emotional and chemical trauma of life. Follow this link for the full website details. The team at Hands for Heroes were delighted when Krishna volunteered to be one of our representatives in Reading, Berkshire. It is quite a commitment of time, energy and money for the chiropractor. But as chiropractic is not provided through the Military nor the National Health Service, there are tens of thousands of servicemen and women who can benefit from the commitment from Dr Krishna. If you know any Servicemen please let them know about Hands for Heroes.